Heat oven to 350°F. Bake cinnamon rolls as directed on can; reserve icing. Remove from pan to cooling rack. Cool completely, about 20 minutes. Meanwhile, in 10-inch skillet, cook bacon over medium-high heat, stirring occasionally, until crisp; drain on paper towels. 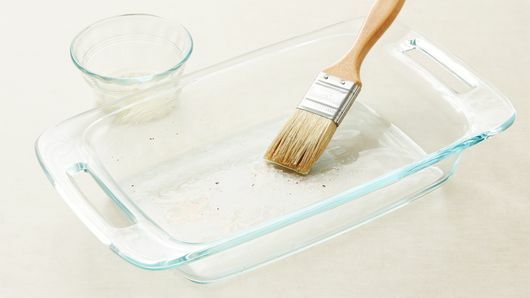 Brush about 1 teaspoon bacon drippings over bottom and side of 11x7-inch (2-quart) glass baking dish. Cut cinnamon rolls into 1-inch cubes. 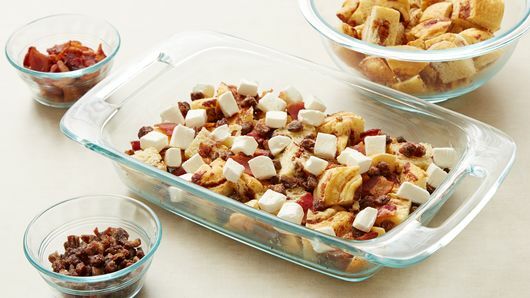 Place half of the cinnamon roll cubes in baking dish. Sprinkle with half of the dates and half of the bacon. Top evenly with cream cheese cubes. 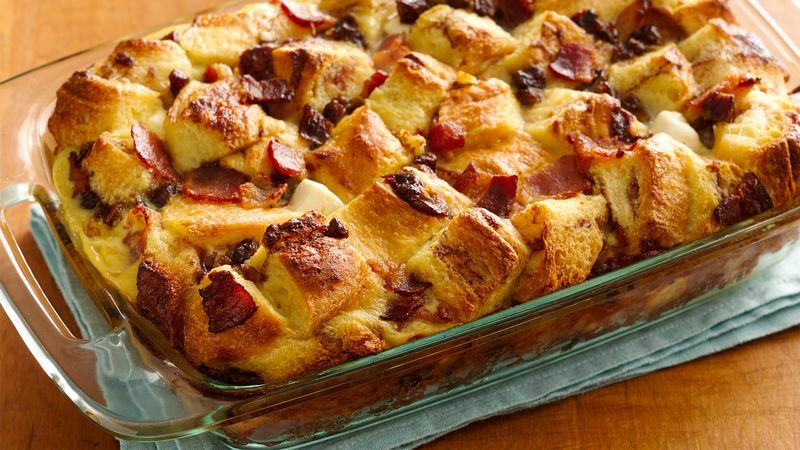 Repeat with remaining cinnamon roll cubes, dates and bacon. In large bowl, beat milk, eggs, almond extract and reserved icing with whisk until well blended. Pour over cinnamon roll mixture. 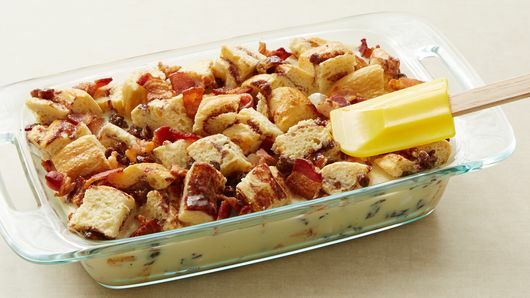 Lightly press cinnamon roll cubes into egg mixture to moisten. Let stand 20 minutes. Bake 45 to 50 minutes or until center still jiggles slightly when moved and top is golden brown. Cool 10 minutes. Serve warm.